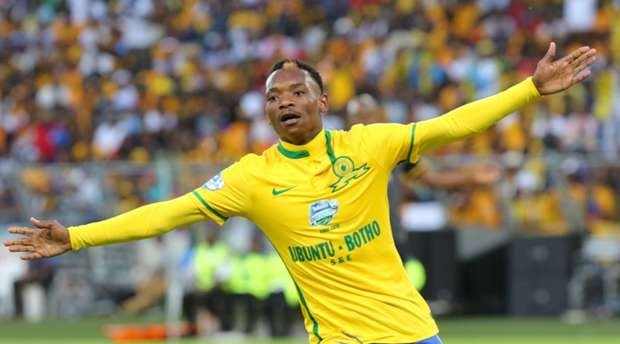 Polish side, Legia Warsaw, are reportedly monitoring Khama Billiat’s situation at Mamelodi Sundowns following his fine form for club and country. The 26-year-old striker, who can also play as a winger, has fallen into the eyes of the Polish giants Legia Warsaw. The team which is looking for reinforcements in Africa. Billiat is also reportedly to have received a proposal from Egyptian soccer giants Al Ahly, but the offer from Europe could encourage him to transfer. Billiat has secured 18 international appearances for Zimbabwe, for which he has scored seven goals. This season, he has scored one goal in three league matches for South African premiership side Mamelodi Sundowns. Legia Warsaw is no stranger to Zimbabwe, In the past, the Legion has had two representatives from Zimbabwe – Dickson Choto (2003-2013) and Takesure Chinyama (2007-2011). The Polish outfit claimed the league title last season and are currently participating in this season’s UEFA Champions League.